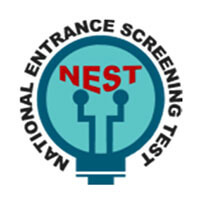 About: The full form of NEST is the National Entrance Screening Test. It is a national level entrance test for candidates seeking admission to 5-year Integrated MSc Program in Basic Sciences and Mathematics. Participating Universities: Aspirants who clear NEST 2019 Cut-off can get admission into the National Institute of Science Education and Research (NISER), Bhubaneswar. They are also eligible for admission into Centre for Excellence in Basic Science (UM-DAE CEBS), Mumbai. Conducting Universities: NISER and UM-DAE CEBS universities are established by Department of Atomic Energy, Govt. of India in 2007. The main intention of these universities is to train a candidate for scientific programmes in Atomic Energy and also to encourage participation in scientific research. University Affiliation: The affiliated Universities are National Institute of Science Education and Research (NISER), Bhubaneswar and Central for Excellence in Basic Science (UM-DAE CEBS), Mumbai. Affiliation to these Universities is given by UGC and Government of India. Level: It is a national level entrance exam. The candidates can get admission to NISER, Bhubaneshwar and UM-DAE CEBS, Mumbai. Frequency: It is conducted once every year by NISER, Bhubaneshwar. Medium: The question paper will be available only in the English Language. Course Offered: NISER and UM-DAE CEBS offers 5 years integrated M.Sc. programme in Biological, Chemical, Mathematical and Physical science. Final degree at CEBS is awarded by the 150-year old University of Mumbai and degree at NISER will be awarded by the Homi Bhabha National Institute (HBNI). Latest News: The last date to fill the application form was extended to 18th March 2019 to provide candidates extra time to apply. Registration: Candidates can visit the official website to apply for the entrance test. Application Form was available from 11th March 2019 onwards. And the last date to submit the Application Form was on 18th March 2019. Extended: The deadline of the registration window was extended to 18th March 2019. This was done because the number of candidates interested in applying for this exam is soaring. Admit Card: After successful submission of the Application Form, candidates can download the Admit Card from 25th April 2019 onwards. Exam Date: The 2019 exam will commence on 2nd June 2019, through online mode i.e. Computer-based Test (CBT). Result Date: NEST 2019 result will be announced by the conducting authority on 18th June 2019. Counselling: Candidates who have cleared the NEST 2019 will be called for the counselling process. NEST Counselling Process will most likely begin in the month of July. Get more information about important dates in NEST 2019 Important Dates. Educational Qualification: All test-takers should have passed 10+2 or its equivalent examination in the science domain i.e. Physics, Chemistry, and Mathematics/ Biology as their mandatory subjects from a recognized board or university. Passing Year: Aspirants must have passed Class XII board examination or its equivalent in any of the years among 2017, 2018 or 2019 from any recognised Higher Secondary Education Board in India. Minimum Marks: Candidates must have minimum aggregate marks of 60% in the qualifying exam (+2). For SC/ST candidates the relaxation in minimum qualifying marks is 5%. Age Limit: Candidates should be born on or after 1st August 1999 to be eligible to write this exam. For students belonging to SC/ ST/ PWD category, age relaxation of 5 years is allowed. Nationality: Only students who satisfy the rules of Indian citizenship are eligible to apply for the exam. NRI students or PIO or OCI candidates are not eligible to apply. State Quota: Candidates from J & K, Andhra Pradesh, and Telangana state have a quota of 15%. Learn more about eligibility in NEST 2019 Eligibility section. General Subjects: To qualify this exam, a candidate should have good knowledge of Mathematics, Physics, Chemistry, Biology, Astronomy, Computer Science, and Environment. Core Subjects: Syllabus and Question Paper will include Physics, Chemistry, Mathematics and Biology of the 11th and 12th grades. Books: Candidates need to focus on books from NCERT and CBSE syllabus of the 11th and 12th grades. Difficulty: The questions will have a moderate to the easy level of difficulty. Some questions might appear tricky but most questions are based on the fundamentals. Get more information about syllabus NEST 2019 Syllabus section. Application Date: Application Form for NEST 2019 was available from 11th March 2019 and the last date to submit the Application Form was on 18th March 2019. Application Form Details: While filling the Application Form, all candidates need to provide the correct educational as well as personal details along with the valid email address and phone number. Documents to be Uploaded: At the time of filling the Application Form, candidates are required to upload the scanned documents like recent photograph and valid signature. Registration Fee: All male General and OBC candidates have to pay a registration fee of INR 700. And, all female candidates and candidates belonging to SC/ST categories have to pay INR 350 as registration fees. Read more information about application form in NEST 2019 Application Form section. Mode: NEST 2019 will be conducted via online mode i.e. Computer Based Test (CBT) on 2nd June 2019. Topics: NEST 2019 Question paper will comprise of the following topics General Ability, Physics, Chemistry, Mathematics, and Biology. Duration: Total time given to complete the examination will be 3 hours and 30 minutes. Marking Scheme: The design of NEST 2019 Exam Pattern has 5 sections. The sections 2 to 5 are of 50 marks each, whereas section 1 is of 30 marks. Candidates should note that some questions may have one or more correct answers. Hence, for such questions marks can only be earned by marking all the correct answers. Merit list for both the institutes will be prepared with best 3 of the subject sections (in addition to the general section). Therefore, a section with the worst score will be omitted. Learn more information about exam pattern in NEST 2019 Exam Pattern section. Exam Centres: NEST 2019 will be conducted across 91 places in India. At the time of filling the application form, candidates need to select the exam centres according to their preference. Exam Centres Selection: Candidates can select up to 5 different exam centres from the given list. Aspirants will be allotted anyone of the exam centre among the selected centres. Documents: It is mandatory to carry the Government photo Id proof along with the Admit Card to the Exam Centre. Reporting Time: Students must be present at the Exam Center earlier or exactly at the reporting time given in the Admit Card. Read more about exam centres on NEST 2019 Exam Centre section. Admit Card: Admit Card will be available on the official website of NISER, Odisha. Applicants who have paid the Application Form fee successfully can download NEST 2019 Admit Card. Admit Card Details: All the necessary details related to the exam centre like the address of the venue, exam timings will be clearly mentioned in the admit card. Get more information about admit card on NEST 2019 Admit Card section. Result Date: Candidates can check their result from 18th June 2019 onwards. To check the result an aspirant needs to visit the official website. Cut-off: A candidate must score equal to or more than the respective SMAS in the general section as well as in all four subject sections. SMAS stands for ‘Section–wise’ Minimum Admissible Score and it is equivalent to section-wise cut–off marks. Merit List: Merit list will be prepared on the basis of the general section and the best of three scores from the core subjects. Aspirants are advised to attempt all questions for better results. Get more information about results in NEST 2019 Results section. Counselling Details: NEST Exam Counselling is expected to be held in the month of July. However, aspirants must wait for official notification. Counselling will be based on the merit/rank list and availability of seats. Rounds: NEST 2019 Counselling will take place in two rounds. It is intended to fill the seats in the two participating institutes NISER and UM-DAE CEBS. Get more information about counselling in NEST 2019 Counselling section. Before starting exam preparation, go through the entire syllabus and Previous Year Question Papers to get familiar with the topics and understand the depth and the difficulty level of NEST. Accordingly, make a well planned and attainable time table. Give utmost priority to follow this self-made study plan. Also, make sure you give higher preference and more time to topics that have appeared repeatedly in the past years. And for topics you find difficult, this will help one to score well. For revision, solve the previous year question papers with fixed time and in the real exam like environment. This will bring the best in you and will make you more confident about your preparation. Attempting mocks regularly instead of doing all of them at the end is the best strategy of mastering the objective type papers like NEST. Address: National Institute of Science Education and Research (NISER), Jatni post, Khurda, Pincode - 752050, Bhubaneswar, Odisha, India. The Application Process for NEST 2019 application begins at 7th January 2019. Last Date to Submit: The last date to submit the Application for NEST 2019 is 11th March 2019. The Release of Admit Card: The Admit Card will be available on the official website for NEST 2019 at 24th April 2019. Examination Date: The NEST 2019 exam will be held on 1st June 2019. Candidates must have been born on or after the 1st of August 1998 can apply provided they meet the required educational qualifications. Applicant must have cleared the 12th or equivalent exam with any combination of Physics, Chemistry, Mathematics, and Biology subjects. Applicants who have cleared their 12th standard or equivalent exams in the year 2016 or 2017 are eligible to apply. However, applicants who cleared their 12th standard or equivalent exams before 2016 cannot apply. Applicants who are about to appear for their qualifying exams for 12th standard or equivalent can also apply. In order to get enrolled in the M.Sc program, the applicants must have secured minimum 60% for General category and minimum 55% for SC, ST, and PD category in the 12th standard or equivalent exam. Official Website of NEST: Candidates willing to apply can log into the official website for the NEST and start the Application Process. Application Form to NEST: The application form for the NEST 2019 examination can be found on the official website on the 7th January 2019. Candidates will have to fill in the required details, after which they will be guided to a payment gateway to pay the fee for the Application Form. Candidates are also advised to carry documents supporting their Education Qualification and JPG files for the candidate's photographs and signature. Payment of Application Fees to NEST 2019: Candidates can make the fee payment either using Credit/Debit Card, Net Banking or a Demand Draft. Candidates paying via DD should note that the Demand Draft should be made in favor of NISER-NEST, payable at Bhubaneswar. Provide all the mandatory information regarding the DD. The Application Form for NEST 2019 examination can be found on the official website. Candidates willing to apply can visit the website and start the Application Process. Mode of Registration: The application process for NEST 2019 will have to be done online only and there is the offline mode to apply for the same.Candidates will be asked to fill in the appropriate details. Registration Fee: The registration fee for the NEST 2019 application varies depending on the category the applicant belonging to. Male applicants: General and OBC-INR 700/-. Female applicants: General and OBC- INR 350. SC/ST and PD Categories INR 350/-. The payment can be done Online using Credit/Debit Card or Net Banking whichever the candidate shall choose. The payment for the application can also be done offline by a Demand Draft (DD). The applicants will be issued the admit card which will become available on 24th April 2019 and can be downloaded from official NEST website. Candidates will have to fill in the required details during the process of downloading the Admit Card after which they will be forwarded to a different page to download the Admit Card for NEST 2019. The Admit Card for NEST 2019 will contain all the necessary information such as the candidate’s name and roll number, the time and the date of examination, along with certain instructions which have to be followed by the Candidate compulsorily. Admit card is equivalent to a hall ticket and the admit card also serves the purpose of verification. The NEST Admit Card is an important document for all NEST applicants. The NEST admit-card is to be carried to the exam center. It is necessary for all candidates to get the Admit Card signed by the invigilator at the exam center. Candidates are required to verify all details on the NEST admit card and report any inconsistencies. The NEST 2019 examination is a pen paper-based exam, where candidates will be provided with an OMR Sheet to mark the answers. The NEST 2019 is for a duration of 03 Hours. The NEST 2019 examination paper will consist of five sections of Objective Type (MCQ), candidates will have to mark the right answer for the questions provided with 4 options, candidates do note that there is negative marking only for the subject section of the NEST 2019 examination. The exam paper is divided into five sections with each section carrying 50 marks. The total marks allotted for the NEFT 2019 paper is 200. The exam paper for NEST will have 5 sections- General Aptitude, Biology, Physics, Chemistry, and Mathematics, where the first section is mandatory for the Candidates to answer. Section 2-5 is of subjects Physics, Chemistry, Biology, and Mathematics. Candidates are allowed to choose any section, the merit will be calculated on the basis of three highest scored sections including the first one. The syllabus for the NEST exam will be based on the pattern of CBSE/NCERT science syllabus of class 11th and 12th constituting Biology, Chemistry, Mathematics and Physics as subjects. A fixed syllabus is not provided for the General Aptitude section, however, the General Aptitude section contains questions related to the major historical milestones in physics, chemistry, mathematics, biology, astronomy, environment, and computer science. Tips for Preparation: Candidates are advised to be thorough with the topics related to the mentioned topics of NEST 2019 examination. Candidates are advised to take a look at their 11th and 12th syllabus for better understanding. The results of the NEST 2019 exam will be announced on 17th June 2019 on the official website of the NEST. Further admission process of the students will follow on the basis of ranks secured by the candidate in the rank list. The merit list can be viewed on the official website of the NEST. The admissions will be conducted until all the seats get occupied, strictly on the basis of merit list. Students can also access their results on various social media platforms. The counselling date for the NEST 2019 examination will be released on. Candidates are advised to stay updated on the website for NEST 2019. Here is a list of documents that should be carried by the Candidates appearing in the counselling process. Original marks card of class X board examination along with 1 photocopy. Original marks card of class XII board examination along with 1 photocopy. Original caste certificate (if applicable). Original OBC certificate (if applicable). Original disability certificate (for physically disabled candidates) + 1 photocopy. Proof of Indian citizenship, if born outside India + 1 photocopy. Demand draft in favour of NISER, payable at Bhubaneswar, or in favour of CBS, payable at Mumbai, depending on where the candidates are appearing for counselling. Eligibility criteria for the entrance exam in ITMU that one should have 50% marks in PCM and afterwards, a counseling will be conducted. The NEST exam will be conducted as entrance examination test. There is no such issue with the faculty is too good at teaching level they make each and every student to understand well. The eligibility criteria for joining Jamia Millia Islamia University is clearing the NEST exam. The cut-off for the course is 165/200 marks in NEST exam. The eligibility criteria of Lovely Professional University, [LPU] Jalandhar is 50% and above in any recognized board of India. I’m currently doing B.Sc. in film and television production. The procedure of admission to this course is very easy, all you have to do is just log in to the official website of LPU and select this course. This university also offers you a scholarship entrance exam known as LPU nest. This helps you get a scholarship in your tuition fees. According to my experience yet the department of film and television production is not so good. But you get a very good exposure in the university. The teachers are very frank with the student which helps us get a good hold on subject if we pay attention. The university rules are very strict which will make any person punctual and disciplined. Frankly speaking, this university is very good to do engineering and CSC. There is an all India exam for admission to our college UM-DAE Centre for Excellence in Basic Sciences which goes by the name NEST. One has to qualify this exam and counselling is performed according to the rank. Eligibility criteria is 12th pass with 80% marks for general and lower for reserved categories. The entrance exam NEST is national Entrance Screening Test, organized in June each year. What is the mode of Exam NEST 2018? What is the mode of Exam NEST 2018- Online or Offline? NEST 2018 Exam will be only Online( computer-based exam). To know more about exam pattern, click here. How many colleges are affiliated to NEST? How many colleges are affiliated to NEST? Which are those colleges? University of Mumbai-Department of Atomic Energy Centre for Excellence in Basic Sciences, Mumbai. Can I apply for NEST 2018 after completing my B.Sc? You are eligible for the NEST 2018. Can I get admission in Hyderabad University through NEST score? NEST 2018 scores are accepted in Hyderabad University. Click here to know about the colleges that accept the NEST score. Hi, I am Soma Do I need to send the hard copies of the application summary to NEST office? NO. The entire application process is paperless. Hi, I am Sahil Can I pay the application fee using DD or cash? No. The only option for payment is online. it could be either net banking, credit card or debit card. Cleared 12th in 2016 with PCB. Eligible for NEST or not? I have passed my 12th in 2016 with Physics, Chemistry and Biology subject with no Maths. So can I apply for NEST 2017? Is Math required in 12th NEST? Yes, you are eligible for NEST 2017, provided, you clear the other Eligibility Criteria as well. If you are a candidate from the Reservation Criteria for NEST like SC, ST, and PD (Physically Disabled) applicants are given a relaxation of five years in the above age limit as well. How to edit my NEST application form? The NEST office immediately receives all your data as per the application form. You are not allowed to edit any further information on the application form. Who is in charge of conducting NEST? These institutes also serve their purpose as the conducting bodies to the exam. Is there any scholarship available for the candidates? The candidates applying for NEST will be admitted to 5-year Integrated MSc programme at NISER and CBS are eligible for INSPIRE by Govt. of India. They will be eligible for a scholarship of Rs 5,000/- per month. If the candidates participating in summer projects, a sum of Rs 20,000/- will be given every year.